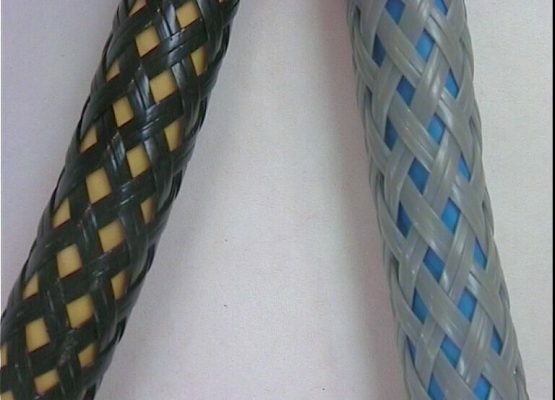 P-type is an extremely abrasion resistant self-extinguishing halogen-free expandable braided jacket. 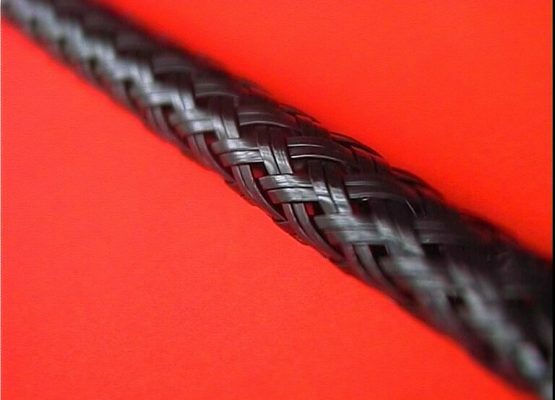 It is made from Polyamide 6.6mm (PA – Nylon™) flat monofilaments and has a working temperature up to 150°C. Available black and grey in sizes up to 40mm supplied diameter as standard. 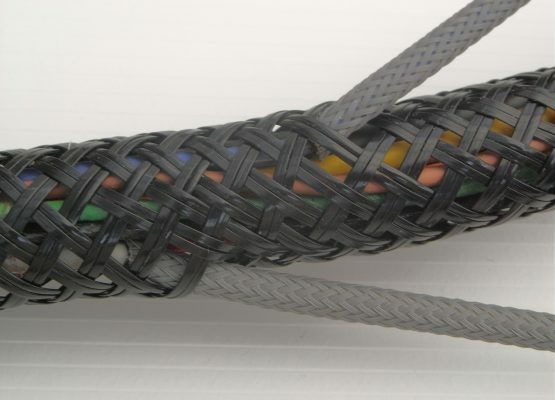 This protective, expandable braided sleeve is used in a variety of sectors such as automotive, marine, and construction where it is valued for its strength and outstanding resistance to wear. 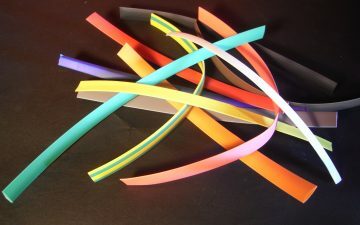 The strength and stiffness of the sleeving comes from the thick heavy duty flat filaments used in the construction of this sleeve. 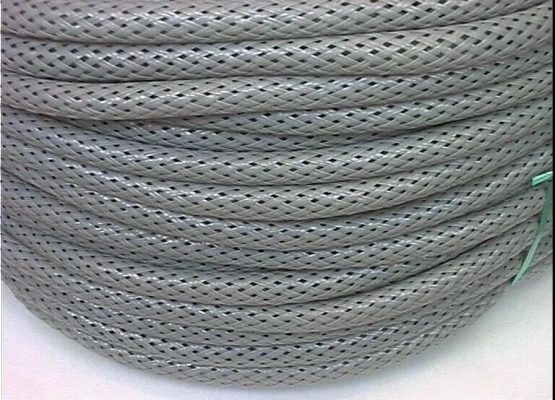 It is perfect for protecting lines on forklifts, welding machines and hydraulic lines on heavy equipment as well as pipes, hoses and cable harnesses where superior abrasion resistance is required.